A well conceived Internet marketing plan can successfully project the name of your business earning you the recognition of your own brand. It will help you reach out to a huge group of potential clients and consumers. 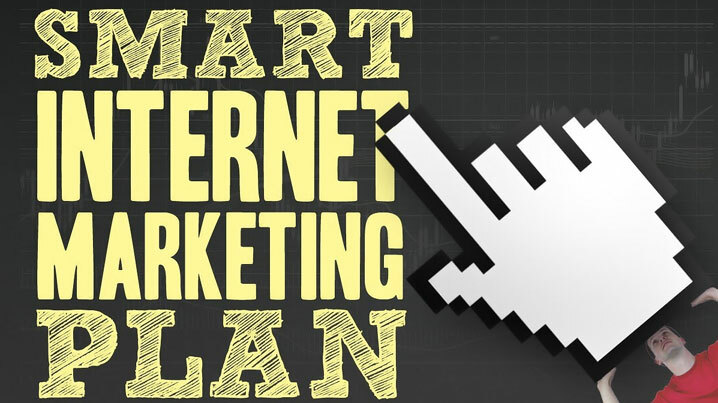 If you need to know how to go about making an Internet marketing plan for your business here are a few tips to help you start off in the right direction. Once you figure out what you really want to achieve from your marketing plan and have a definite budget for the plan it will help you make a truly effective marketing plan. Create a marketing funnel: Let your online marketing plan be based on the funnel theory. It consists of beginning at the top end of the funnel that means low-priced offerings or freebies, then gradually moving customers towards higher-end products that expect them to spend increasingly more money as they move towards the narrower parts of the funnel. For this approach you need to have a range of products at various price levels for creating the funnel effect. If there are gaps in your funnel-type marketing plan you will have to develop and offer new products for filling those gaps. Plan to counter competition: You can send across a strong marketing message when you know well how you are placed in the existing competitive market. Go about this exercise cautiously. Make an online search for your business using keywords, which a user may type to come upon your website. Once your reach the search result pages jot down the URLs of your five topmost competitors. Use Alexa for checking their traffic rankings and find out other websites with a link to them. Try to find out if your competitors have something better or unique to offer their consumers. Now critically look for the gaps in the services or products your competitors are offering. You must efficiently regulate your advertising and marketing activities. Instead of trying to sell to all and sundry you must focus your efforts on your target customers that you can define and locate easily. They may belong to a specific gender i.e. male or female, a particular age group or some clearly definable social, cultural or economic group. Try to locate their hangouts, both online and offline. Find out what professional or occupational group they have an allegiance to, what their earning level is and whether they can afford the products or service you are offering. You must ensure that your brand name helps you clearly stand out from the rest of your competitors. The least you can do is buy a domain name, preferably the .com, that includes your name as well as that of your business. Whether or not you are able to get the URL of your choice depend on the availability of names. Later on, you can add a few more .com versions named after your products. Another potential way to get noticed by your target market is through a domain name associated with the solution you provide with your products or services for the related problem. For example, if you sell seepage and water leak repair products or services you could try a domain name like RepairYourBasement.com. The name will give your business a distinct identity and people searching for basement repair solutions are bound to land at your website. Many of such people are likely to become your lifelong customers or clients.